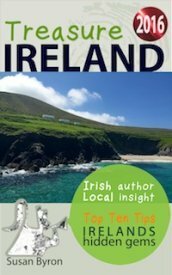 The culture of Ireland and its many & varied traditions are celebrated in festivals ranging from the huge, internationally celebrated St Patrick Day festival to smaller national events. St Patricks Day kicks off the festival season in Ireland and is huge. 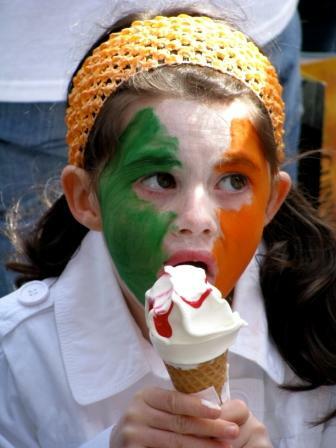 The highlight used to be the parade in Dublin, echoed around the world by exiled Irish enjoying our national day. Now it is a week long festival with a huge firework display hosted in different sites around the country. Nearly every town and small village has its own parade nowadays and thankfully for the first time in donkeys years we enjoyed fine weather. Two events that mark the start of summer are the Cuckoo Fleadh a festival of traditional Irish music and the Burren in Bloom festival in Ballyvaughan which highlights the extraordinary flora of the Burren coming into flower each year with lots of free walks & talks. Almost every year we have an exceptional maritime event like the tallships visiting, in 2010 it was the Volvo Ocean Challenge which is a round the world event stopping which we expect to welcome back for the finish in 2012 in Galway. Which is home to one of the original and best Arts Festivals that never fails in its originality to delight and entertain even the most jaded children, adults and visitors from around the world. The Galway Races signify summer in Ireland, having been a family tradition for over a 100 years, escalating to dizzy heights of fashion and expenditure in last few years with helicopter fly-ins, polictical tents where champagned flowed by the bucketful, never mind the horses! So if you are around dont miss it, it's mad and crowded but great fun, an experience you wont forget. Much quieter and more traditional is Crinniu na mBad or the gathering of boats, in this case Galway hookers who traditionally brought turf from the bogs of Mayo across Galway bay to Clare. That journey is re inacted. followed by a regatta with traditional music been played around the town. If you are not 'hooked' up you might chance the Matchmaking Festival in Lisdoonvarna, month of September and bag yourself a rich farmer! There is no such thing or so they will tell you? Or up the stakes to a suited types by hanging out at any of Oyster festivals held when there is an 'R' in the month. Whatever you fancy there is a festival in Ireland you will enjoy. And whatever your tastes in music from the classic strains of Lyric FM, to every kind of concert, rock band, jazz, opera, traditional, there is performance happening somewhere in Ireland.